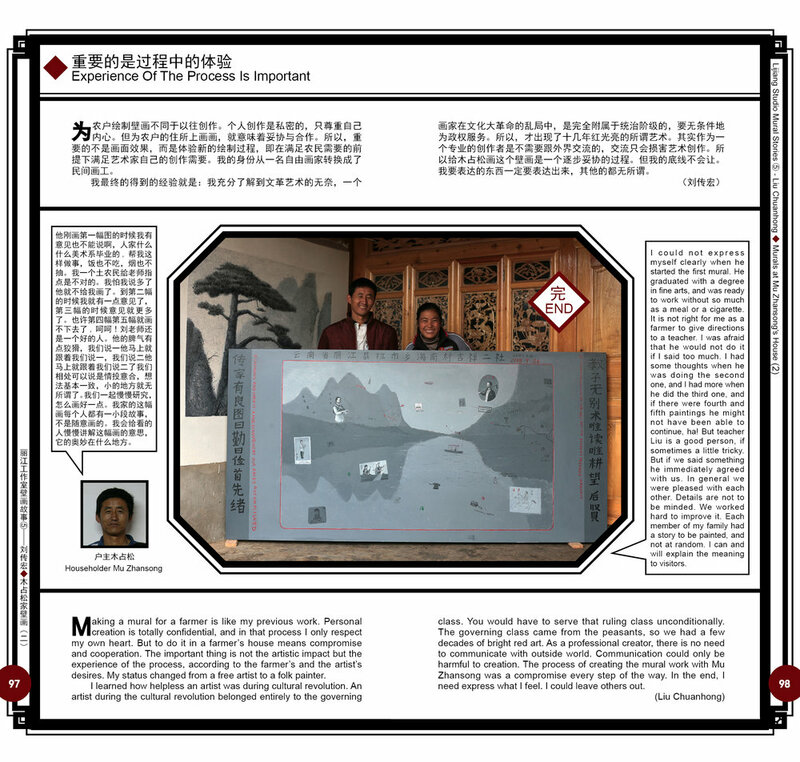 Beginning in 2008, Li Lisha paired 10 artists with 10 householders around Lijiang Studio in the hopes of realizing murals that both sides would be proud of. 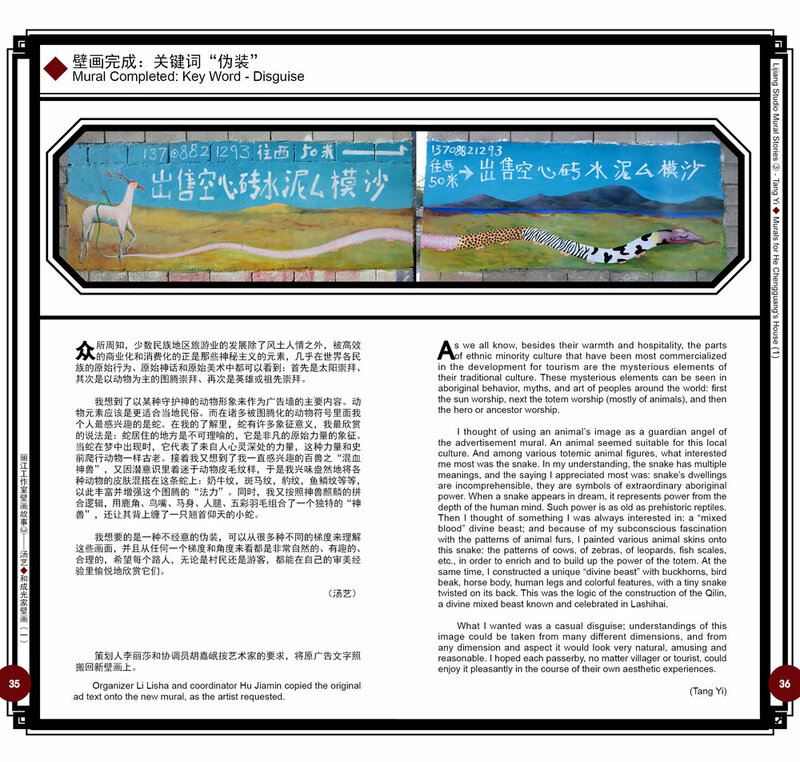 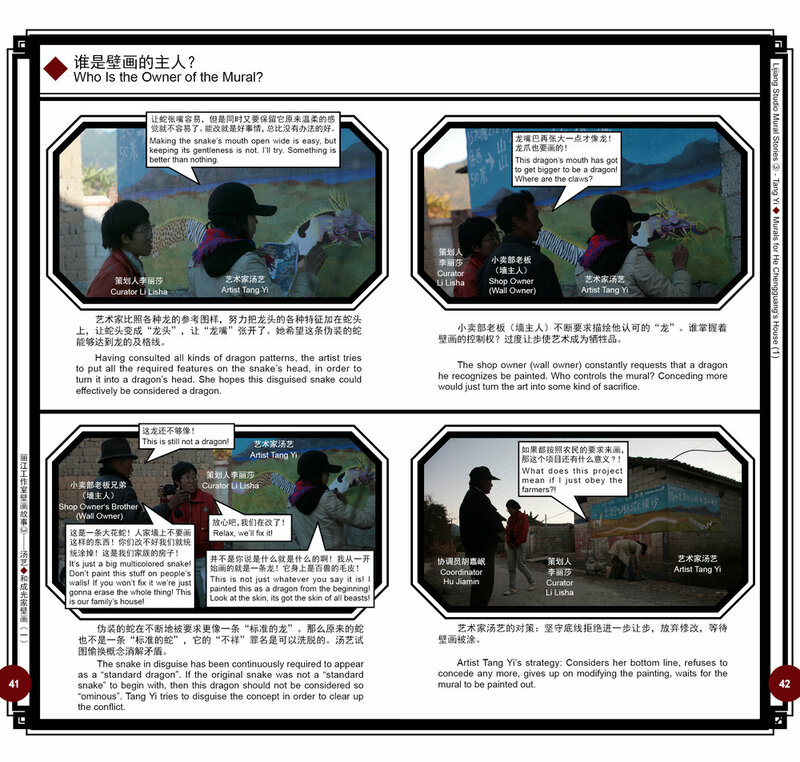 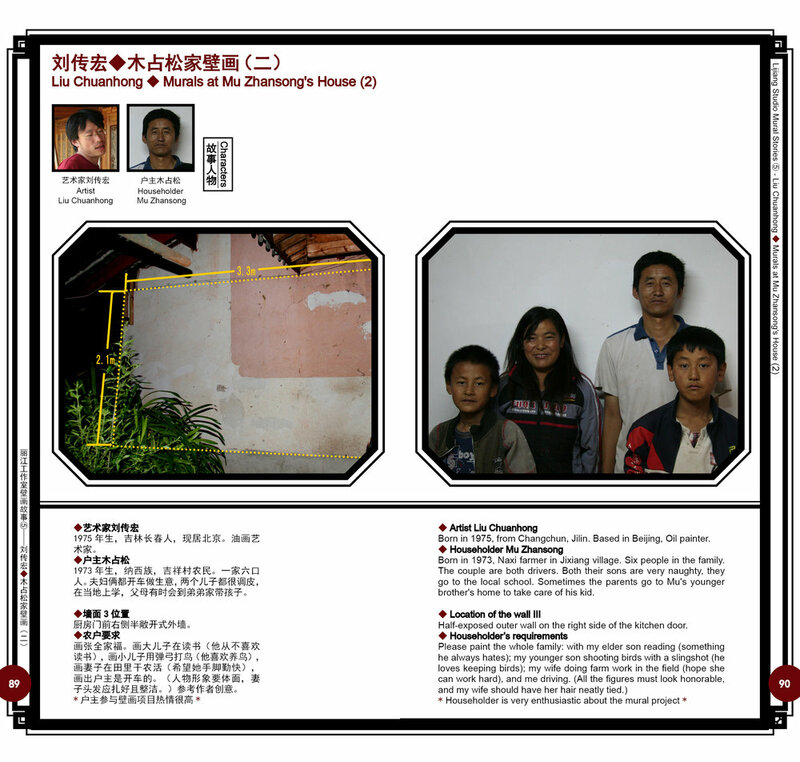 Li Lisha also designed a book documenting the details of the process of each mural. 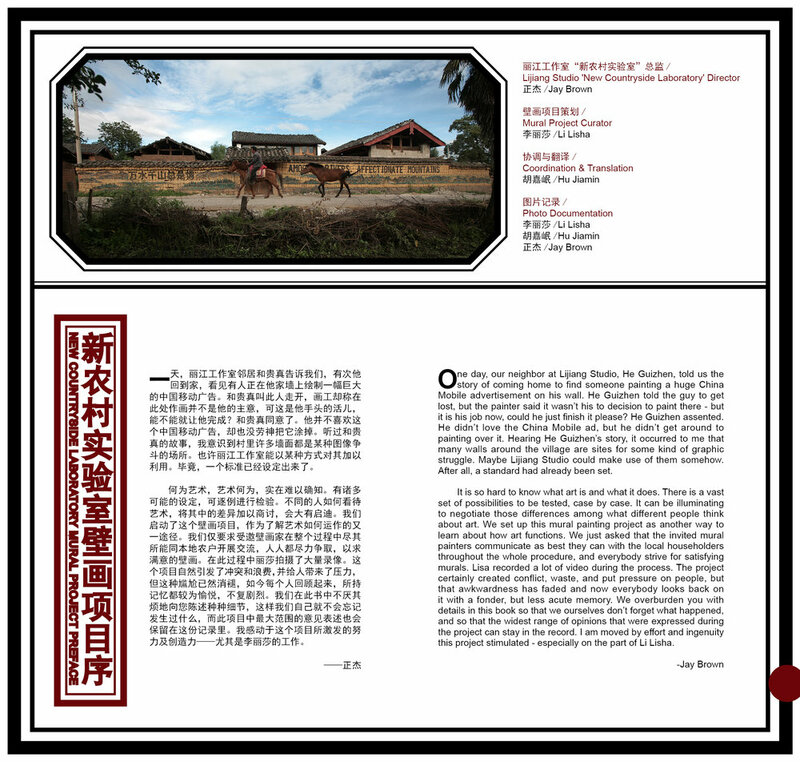 Below are some sample images from the book. 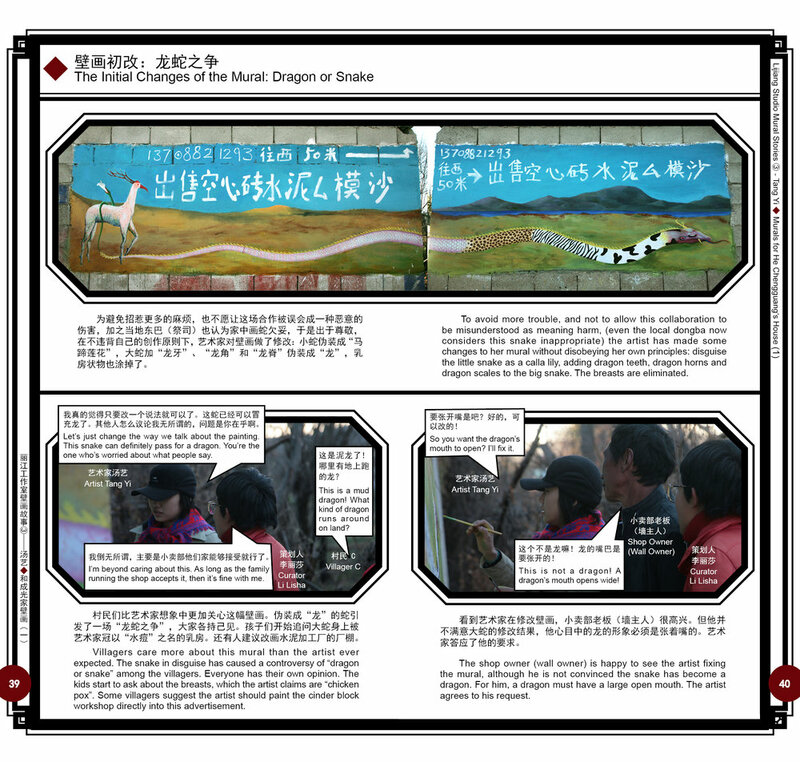 Command + to enlarge the images enough to read the text.